Today, the family and I are heading off to the Los Angeles County Fair. I think I went once a long time ago when I was in college. I know it wasn’t a memorable experience when I went so never really wanted to go again but I felt that the kiddos should probably go once to experience it themselves and figure out if they ever want to go back. We’ve been to a bunch of fairs before – Strawberry Festival in Oxnard, Garlic Festival in Gilroy, the State Fair in Sacramento, but never to our own county fair. I’ve heard that the Orange County Fair is so much better than the LA fair but we’ve never been to that one either. Maybe we’ll go next time around. Anyway, no quilting going on here today. Follow me on Instagram @thousandneedles as I’ll probably be posting up a storm with pictures from the fair. I still need to get the binding on to Hampton Ridge but need to get the foot #57D for my new machine so I can properly use it. On my Bernina 330, I used to use a walking foot to attach the binding to the front. With all those layers the walking foot helped a bunch to get things on smoothly. With the new machine, which I am calling Luna (as in Luna Lovegood for those Harry Potter fans) I didn’t know if I do the same thing or something different. So I made a trip to my Bernina dealer (thank goodness it’s only 5 minutes away) and asked them. With the dual feed on the 790, all I need is either the #37D or #57D which is the quarter inch foot. Both feet are similar to the #37 and the #57. 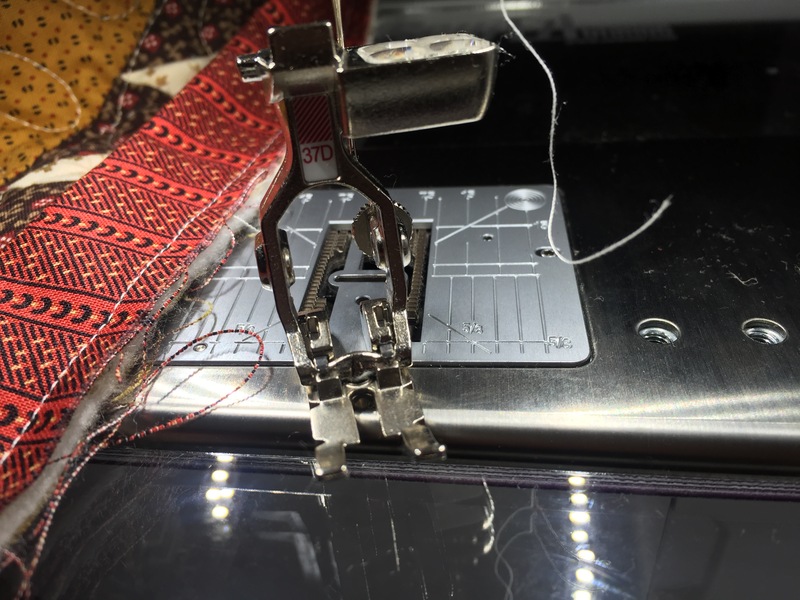 For non-Bernina people, they are the Bernina’s quarter inch feet. The #57 has the little hedge on the right so that your fabric really stays within the quarter inch. I love this thing and use it 95% of the time. The #37 is the quarter inch foot without that little hedge so you can slip off and not stay within the quarter inch. 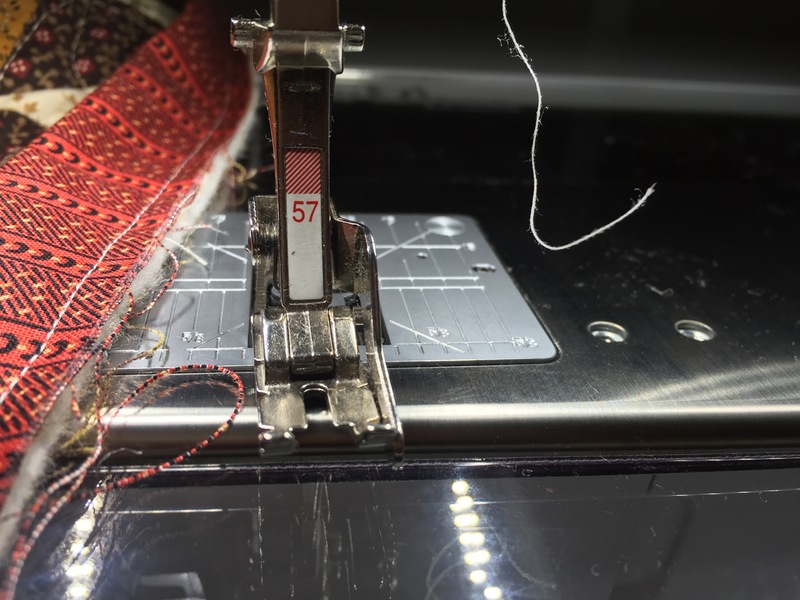 The #37D and #57D are pretty much the same feet but is created to be used with the dual feed on the Bernina. My dealer ran out of the #57D so I got the #37D for now until they get more in stock. I started the binding on Hampton Ridge as you can see in the background but still need to do a bit more to finish it up. I hope to get the binding attached to the front this weekend and spend next week hand sewing the binding to the back. 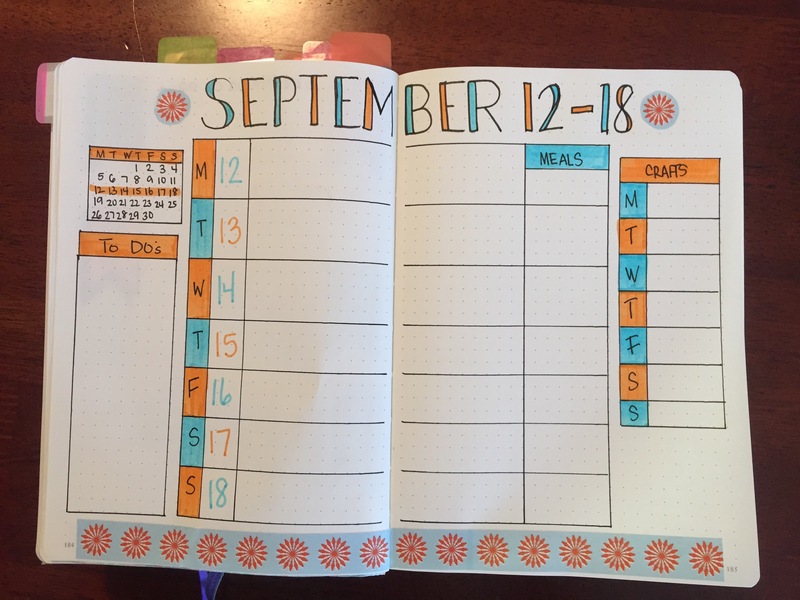 I got the original inspiration from a you tube tutorial made by “Alexandra Plans“. But as I used it for a couple of weeks I figured out what I liked and what I wanted and changed it a bit. 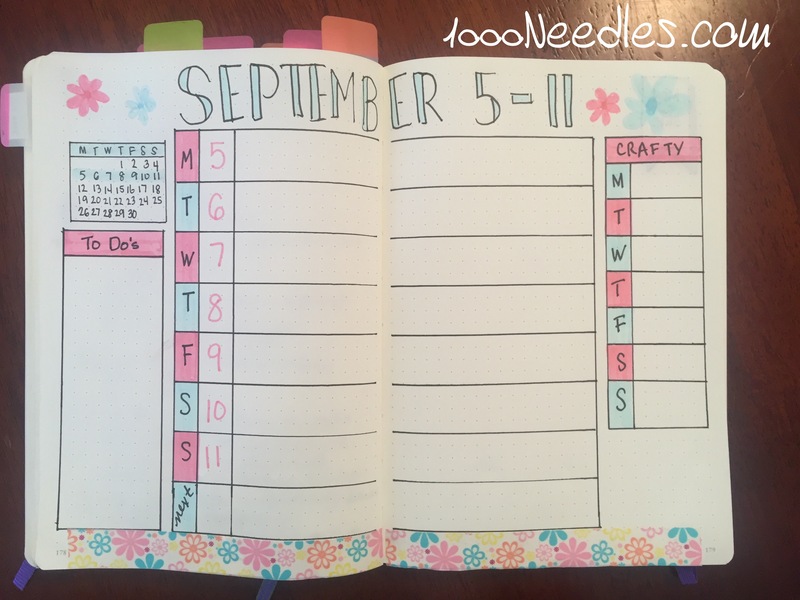 I have tried different weekly spreads over the past few months but I’m really liking this one right now.